President Donald Trump is getting his first medical checkup since taking office, a head-to-toe exam on Friday as questions swirl about the health and fitness of the oldest person ever elected to the nation's highest office. In advance, the 71-year-old president has pushed back vigorously against suggestions he's mentally unfit, declaring himself "a very stable genius." Trump raised concern last month when he slurred some words on national TV. When asked about it, White House press secretary Sarah Huckabee Sanders said questions about Trump's health were "frankly, pretty ridiculous" and blamed his slurred speech on a dry throat, "nothing more than that." More questions have been raised in the weeks since, given the tone of some of his tweets and the reported comments of some of the people who deal with him day to day. Some were recently published in a new book about his first year, which Sanders denounced as "complete fantasy" for its portrayal of Trump as undisciplined, child-like and in over his head. Trump was 70 when he was inaugurated a year ago to handle the 24/7 demands of being president. Ronald Reagan, who served two terms, was a year younger when he took office in 1981. President Donald Trump, for whom the White House is both a home and the office, telecommuted to the White House press room to talk up the economy under his administration on Jan. 4, 2018. 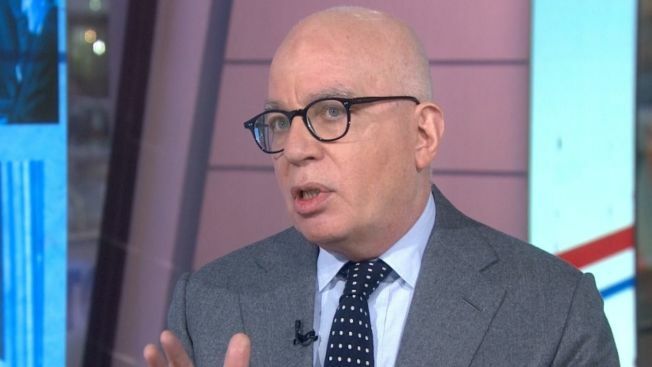 Trump took the unusual step of threatening legal action to try to suppress publication of "Fire and Fury: Inside the Trump White House," by Michael Wolff. He then drew even more attention to the book and the debate about his fitness with weekend tweets stating that his two greatest assets in life "have been mental stability and being, like, really smart." Trump noted his success in business, reality TV and presidential politics, saying: "I think that would qualify as not smart, but genius ... and a very stable genius at that!" The president is to fly by helicopter Friday afternoon to Walter Reed National Military Medical Center outside Washington in Bethesda, Maryland, for the exam. 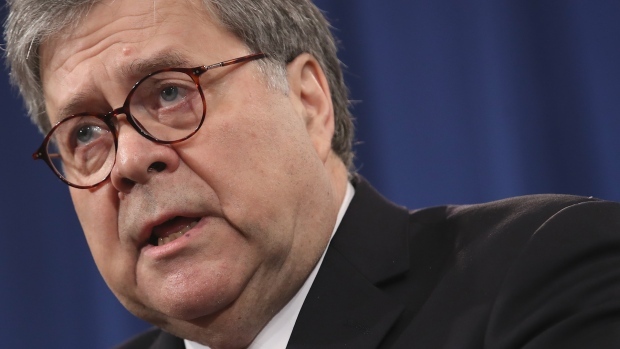 There is no requirement for a president to have a physical, but modern officeholders undergo them regularly and release a doctor's report stating that they are "fit to serve." Trump will not undergo a psychiatric exam, the White House said. Officials did not address a different type of screening, assessments of cognitive status that examine neurologic functions including memory. Cognitive assessments aren't routine in standard physicals, although they recently became covered in Medicare's annual wellness visits for seniors. Dr. Ronny L. Jackson, a Navy rear admiral who is the president's official physician and director of the White House Medical Unit, is coordinating the exam. Jackson provided care for President Barack Obama, conducting and supervising the last of three physicals Obama had during his eight years in office. 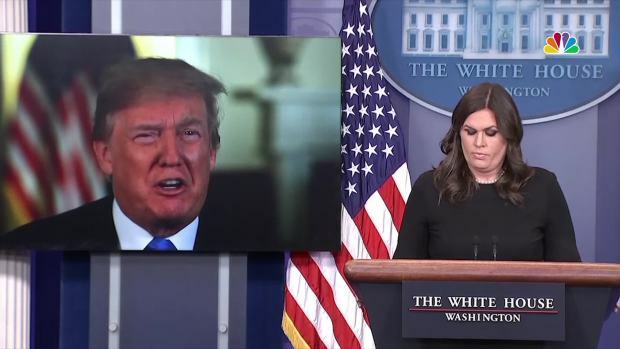 How much of Trump's health information the public gets to see is up to him, but Sanders said she expects him to release the same kind of details as past presidents. In September 2016, during the presidential campaign, Trump released a five-paragraph letter from Dr. Harold Bornstein, his longtime physician, in which the gastroenterologist concluded that Trump "is in excellent physical health." A year earlier, Bornstein said in a December 2015 letter: "If elected, Mr. Trump, I can state unequivocally, will be the healthiest individual ever elected to the presidency." The 2016 letter put Trump's blood pressure and cholesterol measurements in the healthy range, but he does use a cholesterol-lowering statin medication. His EKG, chest X-ray, echocardiogram and blood sugar were normal. The 6-foot-3 Trump weighed 236 pounds, and his body mass index, or BMI, of 29.5 put him in the category of being overweight for his height. Trump takes Crestor for his cholesterol, a low-dose aspirin for heart attack prevention, Propecia to treat male-pattern baldness and antibiotics for rosacea. The one-page letter stated Trump's testosterone level, 441.6, was in the normal range, as were his PSA reading for prostate abnormalities and tests of his liver and thyroid. Trump leads a largely sedentary lifestyle compared to his most recent predecessors, who ran, rode mountain bikes, played basketball or used exercise machines and lifted weights, and were significantly younger than him when they took office. Trump has said he gets most of his exercise from playing golf, which he does most weekends, driving a cart instead of walking from hole to hole. Federal health guidelines urge people over age 65 who have no health conditions that would limit exercise to get about 2½ hours a week of moderate activity, such as brisk walking, and to do some muscle-strengthening activities at least two days a week. As for his diet, Trump enjoys fast food, steaks well-done and with ketchup, chocolate cake and double scoops of vanilla ice cream, and reportedly downs 12 Diet Cokes a day. In a series of interviews last year, Trump showed journalists how he summons a butler to bring him a soda by pressing a red button on his Oval Office desk. In a recent book, "Let Trump Be Trump," former top campaign aides Corey Lewandowski and David Bossie described the four major food groups on Trump's campaign plane as "McDonald's, Kentucky Fried Chicken, pizza and Diet Coke." Democratic Rep. Jamie Raskin of Maryland introduced a bill in April to create a commission that would study whether the president was mentally or physically unable to perform his duties. Democrat Zoe Lofgren of California followed in August with a resolution urging the vice president and Cabinet to have Trump undergo exams to assess his competence. Neither measure has advanced in Congress. White House officials pushed back Monday against a report by the Axios news website that Trump has been starting his official days later and holding fewer meetings than earlier in his presidency. Spokesman Hogan Gidley said Trump "exhibits yeoman-like work every day in this job, whether it be up before dawn and up into the wee hours of the morning every day." 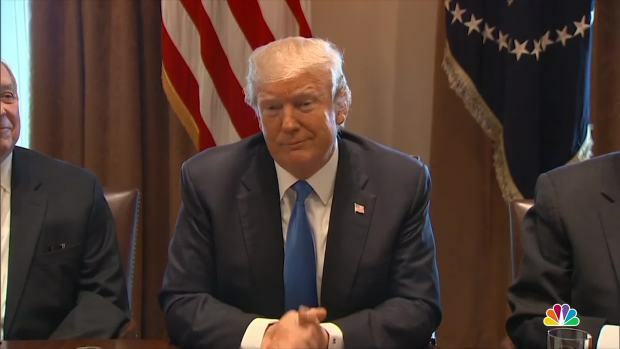 On Tuesday, the White House made a point of opening Trump's lengthy immigration meeting with lawmakers to reporters and TV cameras, a rare public look lasting nearly an hour at the president conducting a policy gathering. Trump friend Chris Ruddy, head of the conservative news site NewsMax, says he does not know the details of Trump's schedule but "the idea that he's some sort of absentee president is ludicrous." Barbara Perry, director of presidential studies at the University of Virginia's Miller Center, said, "There's a long history in the presidency of presidents hiding their medical infirmities, both as candidates and as presidents." Grover Cleveland secretly had part of a cancerous jaw removed aboard a yacht in 1893 when he was said to be on a fishing trip. During the 1960 election, John F. Kennedy concealed that he suffered from a variety of conditions, including Addison's disease, which he controlled with steroids and other drugs. Woodrow Wilson had a secret stroke. Perry said, "In the nuclear age, our lives are in the hands of our presidents. I think the American people should know everything there is to know about a president's mental and physical health." Associated Press writers Catherine Lucey and Lauran Neergaard contributed to this report.